At this point, you’re either three weeks into your New Year’s Resolution and feeling great about yourself, or you gave up about two and a half weeks ago and you’re feeling a little bit of shame. The good news for anyone struggling with the post-holiday blues is that we’re giving you another chance to make the most of 2019. We’ve opened a new campus in the heart of Dublin 1, making it easier than ever for you to join the Griffith community. And we’re offering special classes – quick, one-off sessions to help you succeed in business and in life. With plenty of classes to choose from, held at convenient times in the evening or at lunch, it’s never been easier to build your skill set in a way that leads to personal and professional growth. Even if we didn’t have exciting new courses to offer, we’d still be suggesting you stop by our new campus. 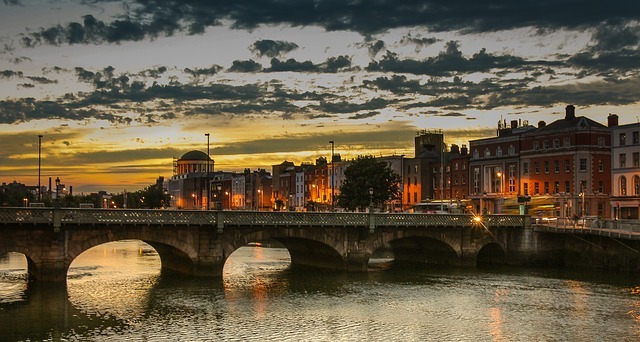 Conveniently located on Wolfe Tone Street, it’s close to everything Dublin has to offer, like the shopping along Henry Street, Ireland’s largest cinema on Parnell Street, a wide variety of restaurants and more. It’s easily accessible by bus, Luas, or even dublinbikes. The new CLICK programme is all about professional development. Standing for Creative Learning, Innovation, Communication & Knowledge, it offers a selection of classes to help you grow in your job, communicate more productively and feel less stressed. When the content is this useful, we want you to be able to access it as easily as possible, so you can choose to attend in person, live-stream the class, or watch it later on in your own time. Take all six of the CLICK workshops and you’ll earn a certificate from Griffith College. Don’t have a full evening to dedicate to a class? That’s alright; come along to a Quick CLICK workshop. Held for 45 minutes at lunchtime or during the evening commute, these are mini-classes that help you find specific solutions to workplace issues. We also offer these as custom sessions to help groups with workplace challenges – join with your co-workers and set up your own unique workshops! The new location will also host a roster of three Children First training courses, including one focusing specifically on clubs and organisations and another for Mandated/Designated Liaison Persons. With a new year, new campus and new courses that require only a short commitment, there’s never been a better time to make learning your priority.